The Beatles' engineer Norman Smith, who worked on every studio recording the band made between 1962 and 1965, has died at the age of 85. Smith, nicknamed "Normal Norman" by John Lennon, took charge of the band's first session at Abbey Road in 1962. Promoted to producer in 1966, he signed Pink Floyd and produced their early albums including Saucerful of Secrets. 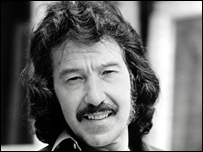 Under the name Hurricane Smith, he also enjoyed UK chart success with singles including Don't Let It Die in 1971. That song reached number two in the UK, while follow-up Oh Babe, What Would You Say? reached the top five on both sides of the Atlantic the following year. His record label EMI described him as "a legendary figure in the history of EMI and British music". "We were very saddened to hear of his passing away, and our thoughts and condolences go out to his family at this time," the statement said. Recalling The Beatles' first session for EMI, Smith once told an interviewer: "Visually, they made quite an impression, but musically we didn't really hear their potential." 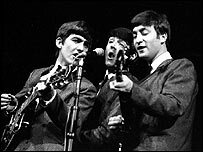 He was impressed by their sense of humour and style, which marked them out from the large number of other bands that came in to try to impress producer George Martin and earn a record deal. Smith said he told Martin at the time: "For that alone we should sign them. Just because of their humour and the way they present themselves, they are different." Once promoted to producer, he said he signed Pink Floyd after being impressed by their stage presentation at one of their gigs. "I can't in all honesty say that the music meant anything at all to me," he later recalled. "In fact, I could barely call it music. "A mood creation through sound is the best way that I could describe Floyd." Smith, who was born in Edmonton, North London, died on 3 March.